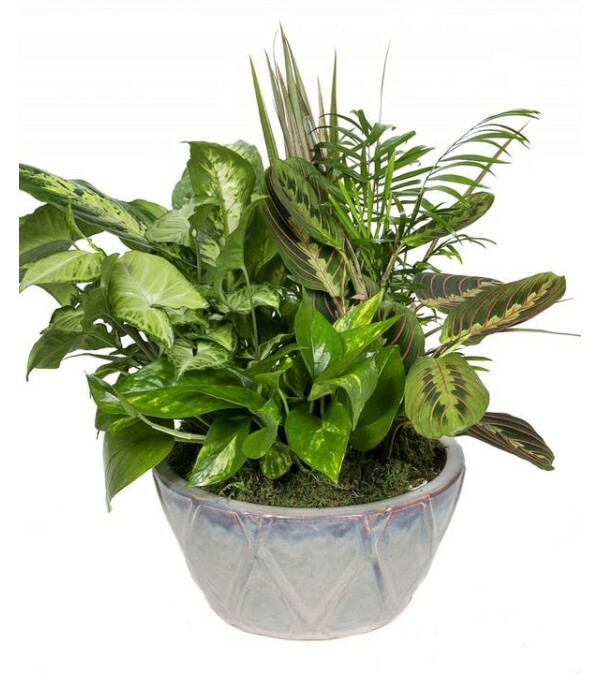 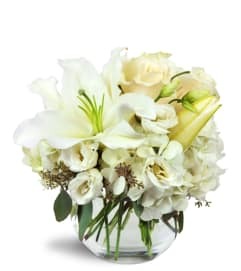 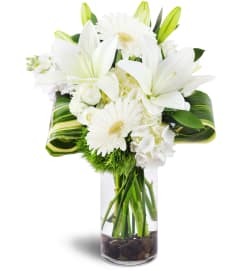 Green tropical foliage plants arranged in a dish garden, bringing the peace of the outdoors into any room, office, hospital room or cubicle. 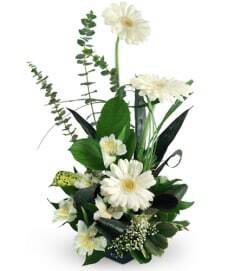 Available in three pot sizes: 8 inch (Standard), 10 inch (Deluxe) and 12 inch (Premium). Exact plants and ceramic container will vary.